Rascal Rodeo - People With “Disabilities” Have More Abilities Than Not! Howdy! As we head into our ninth year of rodeos throughout the Pacific Northwest, it’s tough to keep a dry eye thinking about all that has happened over the years: from fighting to get the proper insurance; convincing parents to bring their special needs child (of any age); having participants say their first words after riding a horse; to cowboys and cowgirls who once were participants now attending our rodeos as volunteers. It’s been an incredible ride so far and we are excited to see what obstacles we blow through and nay-sayers we prove wrong next (and we mean that in a good way). The one word to describe Rascal Rodeo is miraculous. If you’ve never attended one of our events, come to witness the pure joy that takes place. When I did the Tri-Cities first “exceptional rodeo” as my high school senior project in 2001, I did it so the special needs people in my community could have a place to be cowboys and cowgirls. It wasn’t until 2010 when I stopped fighting the desire in my heart to go for it and make it an official 501c3 non-profit organization. Soon after, I realized it wasn’t just an opportunity for participants to be cowboys and cowgirls. It was an opportunity for them to discover unknown abilities; for families, communities, media and anyone who sees our photos or videos that people with “disabilities” have more abilities than not! Rascal Rodeo is possible because of the collaboration of all those who support us in their own, unique ways. For example, Pelican Fuel (Pasco, WA) covers the cost of our fuel expenses in the truck we won from the nationwide online voting in 2013. (From Toyota’s 100 Cars for Good Program.) That was possible because hundreds if not thousands of people, like you, voted from all across the country. Gosh, can you believe it? WE WON A TRUCK!? Miraculous, right?! Les Schwab keeps us safe on the road with tires on that truck and trailer (trailer from Ranch and Home of Kennewick & Pasco, WA). Oh, Mustang Signs (Kennewick, WA) covered that truck and trailer in a beautiful wrap that gets attention everywhere we go. TC Ink (Burbank, WA) prints all our event shirts and merchandise, Teresa spoils us in so many ways. The volunteers show up to rodeos, no matter the weather conditions, to set up the event stations, haul the horses for rides, and partner with the “cowboys” and “cowgirls” to make them feel loved and accepted. And yes, youth volunteers are welcome. This helps close the segregation between special needs and mainstream kids. These relationships are precious to witness and watch grow each year. The “Red Shirt Group” organizes our annual fundraiser the, Honky Tonk Hoedown (every March in Pasco). This is another event you should not miss, with a ton of laid back fun, a well-orchestrated, unique live and silent auction and good food and drinks. We’ve had nine board members since 2010 who have built what RR is today. This year we are starting fresh with new members who will help us grow and continue to reach more communities. Media, plays a huge part in helping make us successful! We love the attention and anyone that will help spread the word! Those who like, share and comment on our social media, thank you for helping get the word out. 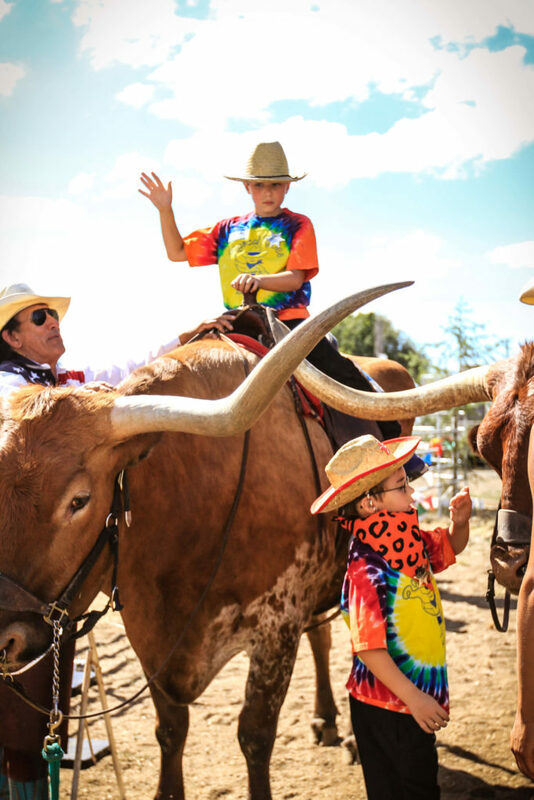 The individual rodeo sponsors from banks, law offices, realtors, construction, consulting companies and coffee shops help keep our rodeos FREE of charge to the special needs communities. Last but not least the Special Needs participants, their parents, care providers and family who make sure cowboys and cowgirls get to attend our rodeos. Our events are for the participants but volunteers and spectators get just as much out of it. This is a testament to how incredible and capable special needs people are. We are grateful for every participant and their families who come share their love with us! So, in short, we are forever grateful for EVERY SINGLE PERSON who contributes to make our events possible. If you have a passion to help, go for it! I don’t need a full hand to count those who supported me in my “unrealistic” quest to start a non-profit at 27 years old, living at my parents’ house with no car or job and only student loans to my name. No way has it always been easy or fun but it’s beyond worth it. All it takes is faith the size of a mustard seed and a hard head. Thanks for your interest in RR and hope to see you at an event soon! 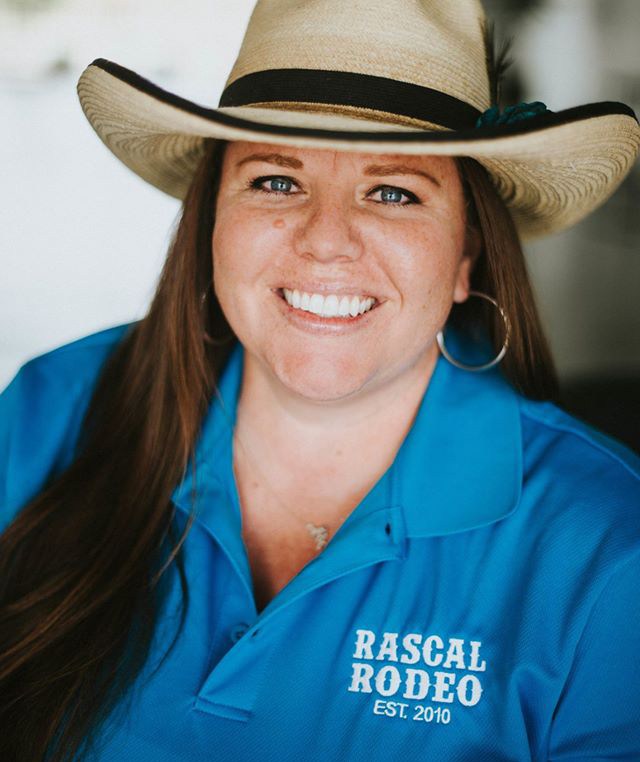 Please contact Rascal Rodeo if you are interested in serving on the board.